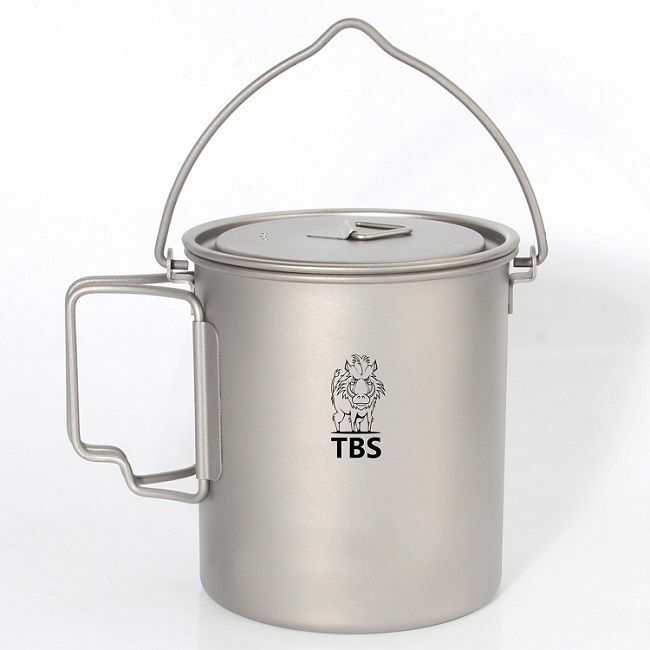 The TBS 750ml Billy Can Cup which is made from high grade stainless steel and features a bail handle, cup handles, a lid, stamped volume measurements. 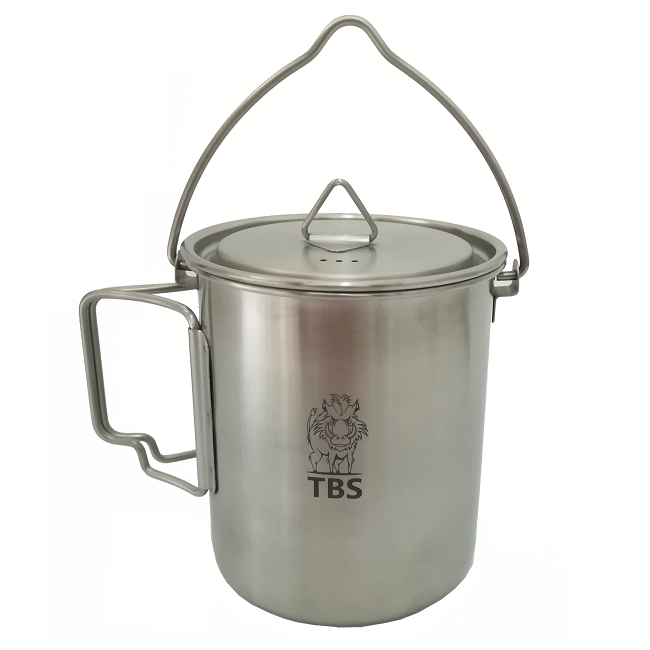 The TBS 750ml pot with a bail handle is truly an excellent piece of kit. 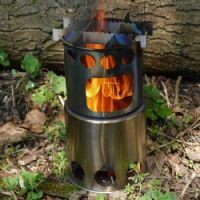 It has so much going for it and has been really well thought out for the outdoor enthusiast to not only be a brilliant stand alone product it works well with other high quality products on the market today. 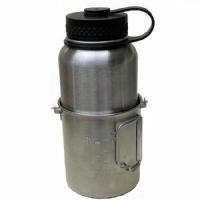 It is made from super strong 304 gauge Stainless Steel and has a well fitting lid that not only reduces boil time it stops anything falling in. 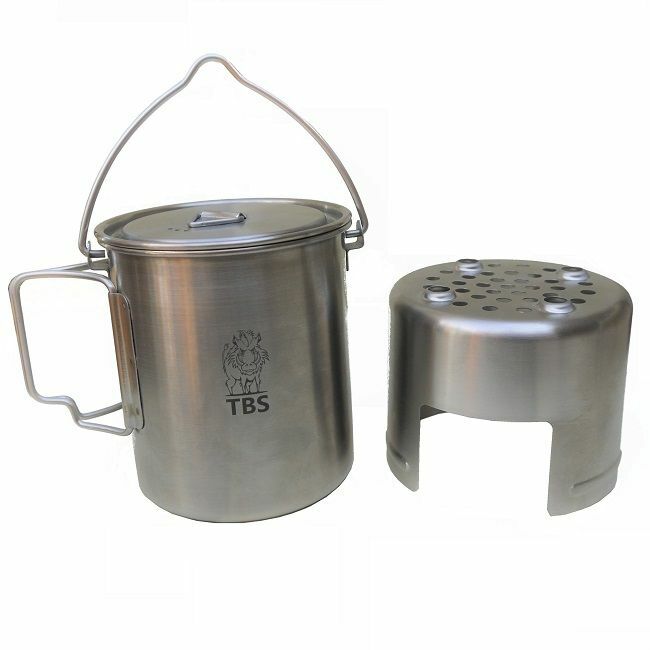 It also has regular handles to be used as a mug/canteen cup and has a removable bail handle which is not only great for collecting water it is ideal for hanging over an open fire. There is also highly useful volume graduations up the inside of the cup which are stamped into the steel rather than etched in. Stamping is a far better process to do this as, over time, etched variants will wear off rendering them useless. The TBS Billy Can Cup is just cut above other products on the market as it has better and more inclusive features. Other products may be a little cheaper but that is simply because they are not made to the same specifications and have as many features. The TBS Outdoor Salamander Stove has taken a while to get right and we are very happy with the results. 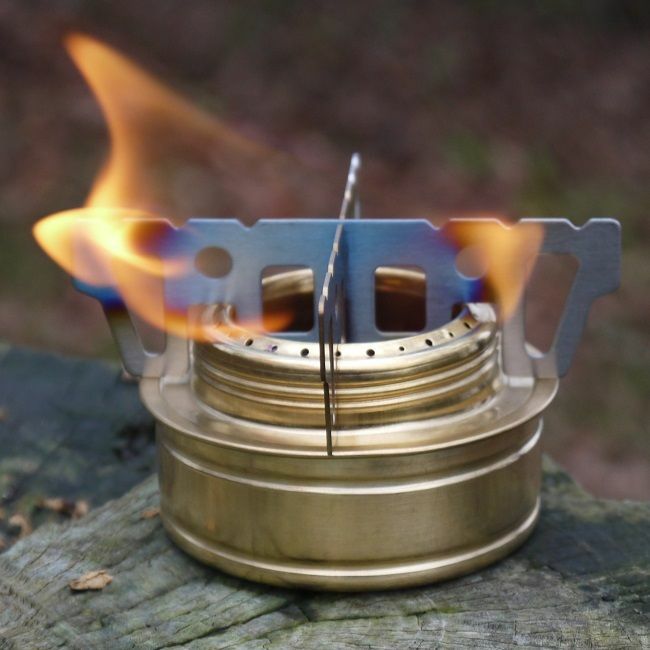 We haven't over complicated things and have just developed a product that has as few working parts as possible and made it out of great quality materials. 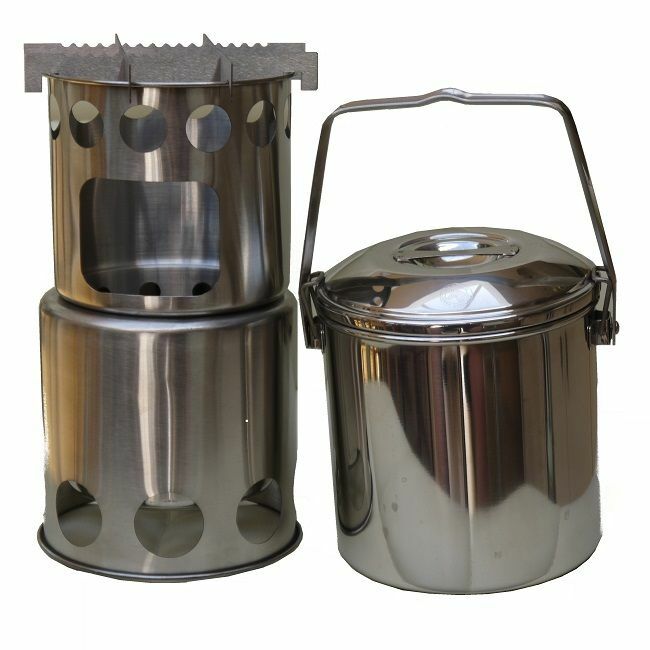 There is obviously no need to carry fuel with our stove as you can all sorts of solid fuels that sit nicely in their own combustion chamber that is easy to fill when you have a pot or canteen on top as it has a large feed hole. The Salamander also has the added bonus of being a "Wood Gas" stove; this effect is caused as, when you burn wood, it gives of a combination of gases, including hydrogen and methane, that are flammable. 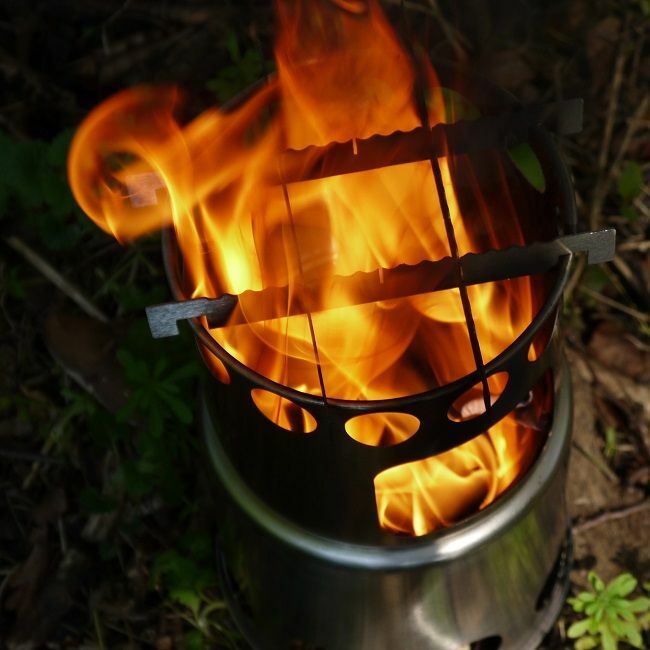 Not all of these gases are burnt in the initial combustion and would normally just escape into the air but if you have a stove that has the correct airflow and a set of secondary holes further up the combustion chamber this gas re-enters the area and catches to not only burn cleaner it makes the fuel you are using that bit more efficient. 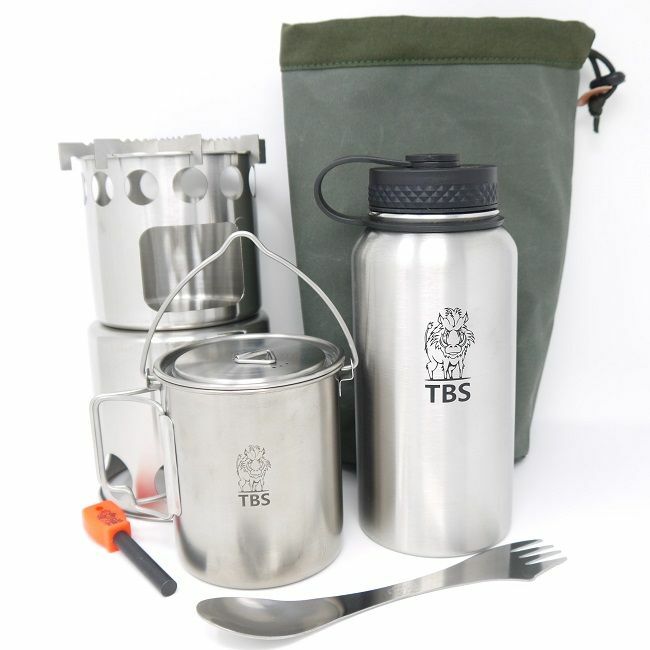 TBS Gear has always striven for quality and our canvas bags are simply the best on the market. 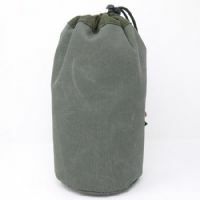 They are heavier duty than many other well known companies products and will last FFAAARR longer. 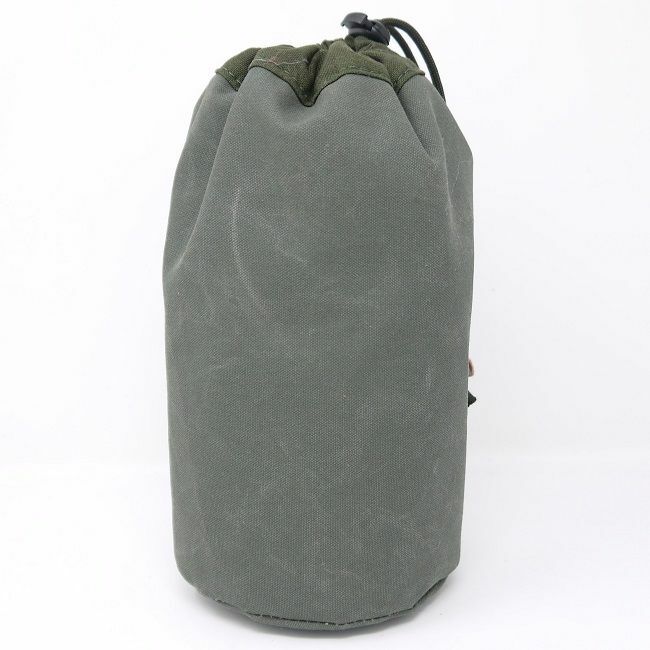 Soot and stocky residue has always been a problem when you are cooking over a wood burning stove or a fire and when you come to put your gear away it gets all your other gear filthy which is why we supply this kit with one of our heavy duty canvas bags.